If you are interested in signing up for RCDC e-mails, please fill out the form below. We promise not to bombard your inbox! 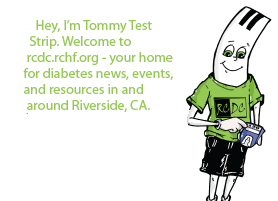 We send just a few updates a month about diabetes resources, classes, and events in the Inland Empire and Southern California areas.